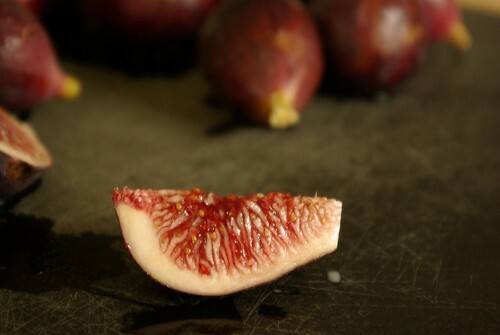 I used to really hate figs, but I thought I was overcoming the problem: I’ve had several restaurant salads with fresh figs and goat cheese that I really liked, so I figured my tastes were finally maturing. However, it does not appear to be a complete cure as yet. 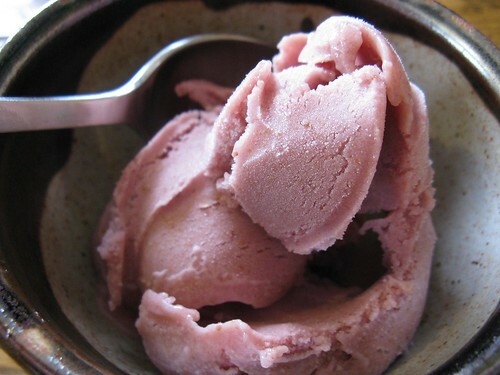 This is one of the only things we’ve made from The Perfect Scoop that hasn’t been a complete success – ah, well. I don’t know if it was just us or if the figs weren’t quite ripe yet – the ice cream just tasted like a cold fig newton, kind of vegetal and strange. The fresh Brown Turkey figs were awful pretty, though.